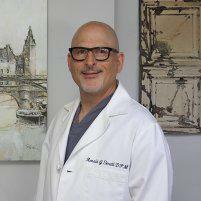 Dr. Small was knowledgeable, kind and courteous. His staff was very helpful. Great podiatrist. My job has me on my feet for long periods of time. I have no time for foot pain. Dr. Small fixes my problems quickly and gets me back on my feet! He was very good and thorough. His Frenchy Sadie made the visit even better! Dr. Small is a wonderful doctor and a willing listener. He engages thoroughly with the patient. Always Professional & Friendly. Solves every Foot Problem! Also want to mention that the office support staff are the greatest. Dr. Small delivers superb patient treatment and care. Engaging personality to boot. A+ recommendation! Dr. Small is excellent at what he does. He’s very kind and makes you feel comfortable. I recently got a procedure done and he took care of it with ease. I would highly recommend him. Dr. Small is very nice and explains everything thoroughly.